In Good Time (left) starts a new campaign with stakes ambitions at the forefront of autumn plans. 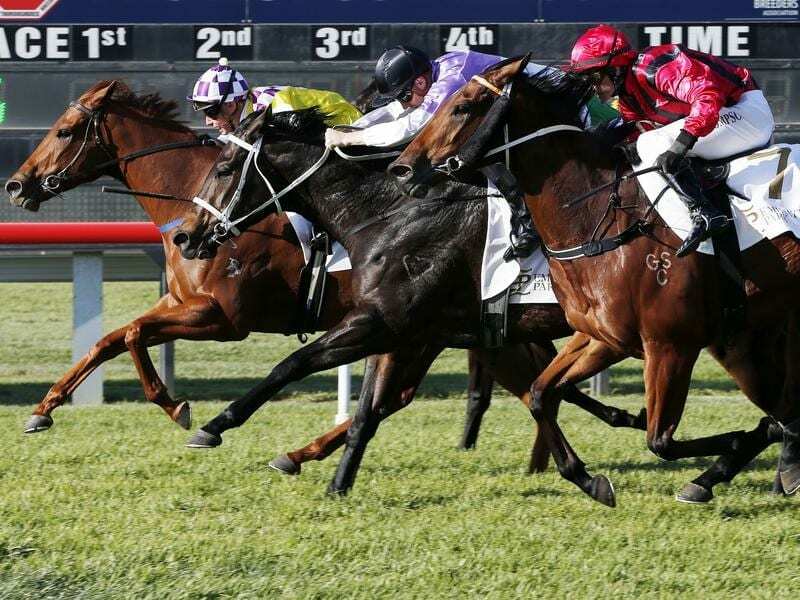 A trip away from home and a couple of tough races during the Melbourne spring carnival have provided the perfect building blocks for In Good Time’s autumn preparation. At least, that’s what trainer Tracey Bartley is hoping. Bartley, who guided the career of three-time Group One winner Sniper’s Bullet, gave In Good Time a pass mark for her four-start spring campaign which was highlighted by two competitive runs in stakes company. But he is banking on the interstate experience being invaluable to the four-year-old’s development as she prepares to resume at Rosehill on Saturday. “It will do her the world of good going down there and probably getting bashed up a few times,” Bartley said. In Good Time is an acceptor for two races at Rosehill and connections will decide on Thursday which one she contests. Bartley says they are leaning towards the Maurice Rolfe Handicap (1100m) for fillies and mares but have reservations about her top weight. She would carry 59kg after the three kilo claim of apprentice Brock Ryan, and 55kg if they take the other option and run her in the JHB Syndications Sprint with Tim Clark booked to ride. “We’ve just got to do the form and the speed maps. We’re leaning towards the mares race but we’re going to have a look at the other race as well,” Bartley said. “We’re a little bit concerned about the 59 with her because she’s not very big. “She didn’t have a long time off, she only had a month off, and we can’t fault her. In Good Time has won six of her 10 starts, including the Listed Denise’s Joy Stakes at Scone, and Bartley will give her the chance to add to her black-type tally during the autumn. Stablemate Ever So Natural will tackle the Eric ‘Mo’ Conlan Handicap (1200m) after an improved performance last start. Bartley said the gelding had trained on well and worked strongly with In Good Time on Tuesday. “I can’t fault him and I think he’s in the right race,” Bartley said. The eight-race Rosehill program includes the Countdown To Golden Slipper Sprint for two-year-olds, headed by Inglis Nursery winner Accession and Igniting from the in-form yard of Ciaron Maher and David Eustace.